Two former Wasserman Schultz IT aides have been indicted for conspiracy against the U.S. Maybe he will rat them all out for a reduced sentence because there’s no honor among thieves. These foreign nationals have had access to, and have been selling our nation’s secrets, and all they are charged with is bank fraud, false statements, and unlawful monetary transactions? The liberal media is avoiding this train wreck like the plague. No surprise there though, right? This is going to be a very slow unraveling so let us be patient. 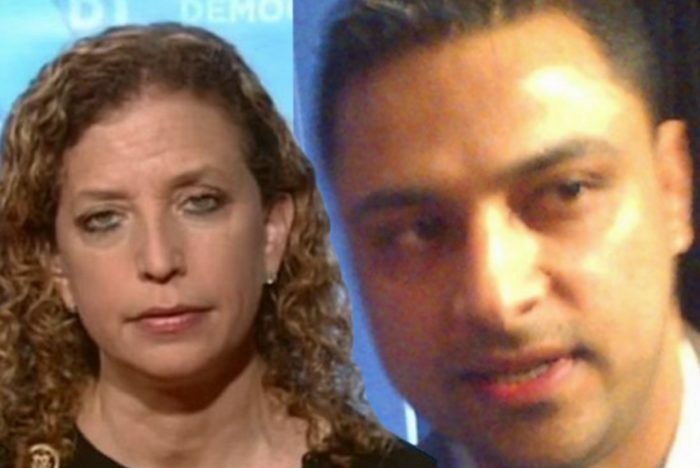 TDC: A federal grand jury Thursday indicted two former information technology (IT) aides of Democratic Rep. Debbie Wasserman Schultz — Pakistani-born Imran Awan and his wife Hina Alvi — on four counts of conspiracy in the U.S. District Court for the District of Columbia.